Cornwall 1st v Berkshire 2nd - 13.12.09, Polkyth Leisure Centre, St Austell. It was Ladies Day at the home match against the travelling Berkshire team, with Cornwall’s girls putting in a fine performance to take 5 games, and the men missing out, as the match finished 10 – 5 in Berkshire’s favour. The girls got off to a storming start, as both Jo Philp and Bronwen Wotton comfortably won their singles. Captain Kelvin Edwards was unlucky to lose his number 1 singles having taken his fast, young and powerful opponent to 3 ends. Cornwall’s men, missing some key players, struggled against the Berkshire boys all afternoon – even the introduction of half-time pasties failed to slow them down! But the girls continued in great style, Jo in particular having a fine afternoon, teaming up with Rachel Irish to win both doubles, and Bronwen and Claire Whitmore winning one and just losing an exciting 3 ender. By the time the mixed doubles began, Berkshire needed just one game to take the match – 3 mixed games later and they’d won all of them, Kelvin and Bronwen going to 3 ends, but running out of steam in the third. So the team finish this year on one win to date and some very narrow, point scoring losses, and they look forward to the second half of the season and a successful new year. Team – Kelvin Edwards, Tom Lyle, Lee Bottrill, Bob Bell. Jo Philp, Bronwen Wotton, Rachel Irish, Claire Whitmore. Following their 12-0 win at the Isle of Wight, the over 60 veterans team continued their success with a 11-1 win against Dorset at St. Austell on 6th December. Team captain Brian Hannibal decided to field an identical team as previous. The mens pairings of Brian and Phil had an exciting three ender against the Dorset first pair, where the dynamic Brian showed that he hasn't lost any speed and agility to secure victory. Mike, partnered with Tony also won both their doubles, with one match going to three ends. The ladies also encountered close games, but unfortunately Pat and Celia just lost to the Dorset first pair. Vera playing alongside Chris Marr comfortably won both of their matches. Fortunately Cornwall took all four of the mixed, which means that they are now 3rd in the league with games in hand. The team now take a rest over the Christmas until January 3rd, when the annual County Veterans Tournament will be held at St. Austell. Entry forms are available to download from the download section to the right on this page, or from Pat Edwards on 01726 65015. This handicapped tournament is always great fun and open to players over 40. Playing their first home match of the season at St Austell on Sunday 22nd November, the singles players gave Cornwall a storming start, going up 4-1 against a strong Oxfordshire outfit. Cornwall’s men continued the theme, winning the doubles 3-1. Guy Michell and Tom Lyle looked particularly unbeatable. The ladies had a harder task against their Oxfordshire counterparts, losing all their doubles. Bronwen Wotton and Claire Whitmore pushed one couple very close, narrowly losing the third end. With the score at 6-6 going into the mixed doubles, the crowd were on the edge of their seats. Chiefs Captain, Kelvin Edwards and Bronwen Wotton could not repeat their earlier wins, but Guy Michell and Rachel Irish captured their game in fine styl, giving Guy another 100% performance for the afternoon. Seven-all with Tom Lyle and Jo Philp providing Cornwall’s last hope. The game went to the wire and they were unlucky to lose 27-25 in the third end. Cornwall 1st Team: Kelvin Edwards, Guy Michell, Tom Lyle, Dave Harrington, Jo Philp, Rachel Irish, Bronwen Wotton, Claire Whitmore. Entry forms were released today for the 09/10 season Cornwall over 17/under 21 Restricted tournament. The tournament will be played on 10th January 2010, at Polkyth Leisure Centre, and to qualify for entry, players must have been born between the following dates: 01/01/1989 - 01/01/1993. Entry forms are available to download from the 'Download Section' to the right of this page. The last weekend of September saw the Cornwall County Badminton Association host its 'Restricted' championships at Polkyth leisure centre in St Austell. 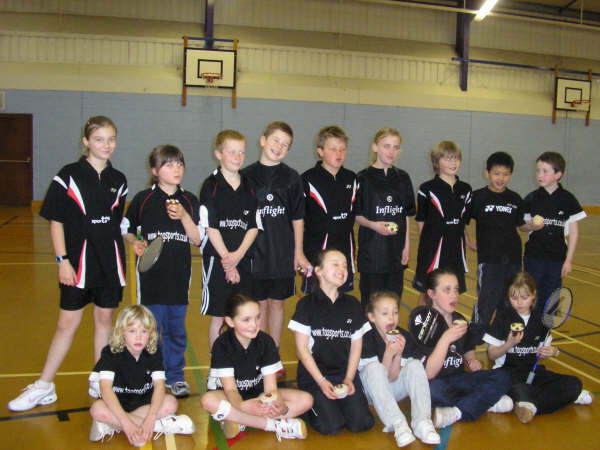 The 2 day competition brought together the best badminton players in Cornwall, with a large contingent drawn from the Cornwall Youth badminton and 17-21 age group. Over 60 competitors took part. The first day comprised Mens and Ladies Singles and Level Doubles, whilst the Mixed-doubles title was played for on Sunday. The Ladies Singles event saw last year's winner - Bronwen Wotton being narrowly beaten in the semi-finals by the eventual winner, - Jo Philp, who went on to beat finalist Emily James in a very close 3 ender. In the Mens Singles, the 'new boy in town'- Kelvin Edwards won his first honours of the weekend against last year's winner, (and previous 6 times title holder)- James Whetter. The Ladies Doubles pairing of Rachel Irish and Jo Philp retained their title in a comfortable victory against Emily James and Bronwen Wotton. The last discipline on Saturday had an exciting and close-run Mens Doubles final which saw eventual winners, Kelvin Edwards and Nick Phelps beating James Whetter and Guy Michell in a thrilling 3 ender. Unfortunately, due to injury, the partnership of James Whetter and Jo Philp could not defend their title on the Sunday in the Mixed Doubles event. This left the way clear for the talented combination of Kelvin Edwards and his young partner Bronwen Wotton to lift the title against Nick Phelps and Jan Santillo, but not before battling it out in a nail-biting semi-final against Guy Michell and Rachel Irish. The 0630 start (The 0 stands for “0 my god it’s early”) to Cornwall’s badminton first team took its toll at the weekend with Duchy crashing out 12 – 3 to Oxfordshire. Playing before a large crowd things seemed to be going ok for the Cornish after the singles with the round tied at 2 – 2. The unbeaten singles run from the Cornish number one Kelvin Edwards continued with straight sets win over his Oxford opponent. Claire Whitmore also chalked up the other win for Cornwall with an impressive display of attacking badminton to clinch the number two tie. Next match: 8th November - Hampshire away. 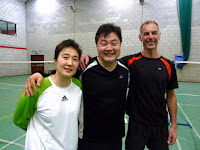 The badminton training session by former Korean National champion Lee Jae Bok accompanied by former Korean ladies singles and doubles champion Lee Young Sook took place last Saturday at St Austell Rugby Club. The event was well attended and all participants were treated to a masterclass that covered many areas of badminton including mental attitude, footwork,shot execution, doubles tactics and deception. The day was a great success and it was agreed that it had been an enjoyable and extremely worthwhile experience. The training session was organised by Pete Bazin of Truro Badminton Club, who is hoping to organise further training with Lee Jae Bok and Lee Young Sook in the future. Lee Young Sook & Lee Jae Bok with Pete Bazin, organiser. We hope and expect that ALL of last season’s 1st & 2nd team players will attend County Club and Coaching and enter the Cornwall Open and Restricted, and will attend the relevant Trials to be considered for selection. We will have 5 teams this year – 1st and 2nd, 17-21's and two Vets teams – 40s and 60s. Format will be: 7 to 8pm – games, 8 to 9pm – coaching, and 9 to 10pm – games. Selectors will organise games/pairings and there will be a chance for 1st/2nd team practice. County Club Coaching will be led by Kelvin Edwards, and will include serving and return of serve, doubles and mixed tactics and positioning. 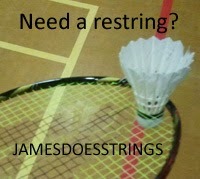 Payment will be £8 per session, for all players this year, to be paid at the beginning of each evening – no pay no play! More information about fixtures etc will be available at the first County Club. Please contact one of the Selectors if you need any information in advance. Team selections will be made after the Restricted Championship. ENTRIES have started to roll in, well and truly for the Duchy of Cornwall 27th “Open” Badminton Championships, scheduled for four weeks time, from this weekend, writes John Tresidder. 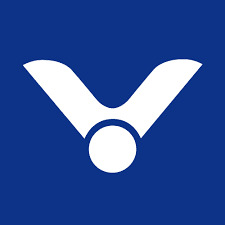 The prestigious Event, in its tenth year as a BADMINTON England “Satellite” Ranking Tournament, and with the prize-fund set at: £1,260, is scheduled for Carn Brea Leisure Centre, Pool, Near Redruth - on the weekend of - Saturday and Sunday, September 19/20. GRAPHIC SOLUTIONS - www.graphicsols.com - the Computer Company, from Farnborough, Hampshire, together with Exeter’s TAG SPORTS - www.tagsports.co.uk, in conjunction with YONEX UK LTD, have once more joined forces as the Tournament’s joint main sponsors. Meanwhile, Nick Lake’s Countryman Inns Free Inns Group, with its HQ’s at Piece, Carnkie, Near Redruth, together Dales Renault, based at Scorrier and Summercourt, are amongst the other generous backers, of the Championships, which are known as one of the most popular on the English Badminton Circuit. “Bleacher”, tiered seating will be set out for players, supporters and spectators, as in past years, with the entry to the hall being free. probably over twenty youngsters from Cornwall Youth Badminton’s Under-17 squad, sponsored by Dairy Crest Davidstow. Meanwhile, Cornwall’s County number one players – James Whetter (St. Austell Bay), whose Company Rubber Flooring Online, are one of the advertisers, together with Truro College student, Johanna Philp (Port Isaac-based), aged 16, are planning to enter three disciplines of play, apiece, over the weekend. 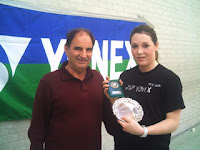 JOHANNA PHILP, THE LADIES'' SINGLES "PLATE" RUNNER-UP, PICTURED WITH MIKE AVERY, THE COUNTY PRESIDENT, AT CARN BREA, LAST SEPTEMBER. 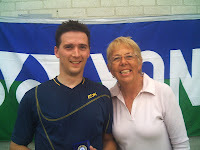 JAMES WHETTER, THE MEN'S SINGLES PLATE RUNNER-UP, PICTURED AT CARN BREA, LAST SEPTEMBER, WITH PAULINE AVERY, A FORMER COUNTY SECRETARY. * David on the referee’s console: David Burgess, an experienced International Referee and Devon County’s Chairman, is the official in charge of the play in the hall over the weekend, once more. Finally, the comprehensive review/results, will be published in the Cornish & Devon Press, as well as being posted on the Cornwall Badminton Website: www.cornwallbadminton.co.uk - in the week following the Tournament. The 09/10 season is approaching rapidly. This was the first home match of the season and we welcomed Wiltshire’s U15 team to Tregorrick Park, St Austell. The Cornish team were very upbeat after some excellent performances at the County Championships two weeks previously. This positive mood showed as the boys won the singles 5 – 1, with an excellent debut singles for Chris Grout winning in three close ends. The girls also played well winning 4 – 2. Bethany Rich recovered well after a nervous start to win in two ends on her first time in the team. In the doubles Cornwall again were dominant. The boys number 1 pair, Lee and Tony, took all 3 games. The Cornish second pair (Ben & Sam) and the third pair (Chris Grout & Kynan) took two games apiece, losing only to the Wiltshire first pair in very close games. The girls, however, exceeded all expectations and won all 9 games. Our third pair Abigail and Hannah, a scratch partnership, beat the Wiltshire first pair in two ends. Charlotte & Emma had to come through two difficult 3 end games. By the mixed Cornwall had already won the match and they were all able to relax and play with great confidence. Cornwall were dominant again and won 5 – 1. Lee & Beth Wotton playing at number one played exceptionally well and took their 2 ends very comfortably. To finish the match off was a great 3 end game. Wiltshire took the first end 20-22, then Cornwall (Sam & Emma) fought back in style and showing that new found confidence and belief to take the next 2 ends 21-8, 21-8. The whole team played with great spirit and, as the match developed, with belief. They are reaping the rewards of all their hard work and training over the last few months with James Elkin. Team managers Kath Wotton and Sue Cooper are very proud of all the players and we are looking forward to the next match against Devon on 8th February at Penryn College. Many thanks to all the parents for their help and support on the day.